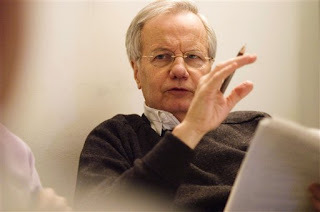 I really appreciate and enjoy Bill Moyers Journal. I'm more and more convinced that PBS broadcasts much of the best journalism and socially responsible dialogue anywhere. I particularly enjoyed his discussion with Daniel Goleman, author of Emotional Intelligence (and excellent book), Social Intelligence, and most recently, Ecological Intelligence. He explains why the idea of going green in largely a myth. Moyers said Goleman's book was heartbreaking, but I thought their talk was enlightening and motivating. I recommend watching it. Just click here. NOTE: Even if you don't watch the video, visit GoodGuide. It's a database of the ecological and social responsibility factor of the products we buy. Skin Deep is the same thing for cosmetics. Star Trek - Just a good, fun movie?